The Licking Valley Courier and Publisher Earl Kinner, who helped West Liberty, Ky., recover from a devastating tornado last year, won the annual community-service award at the Kentucky Press Association convention today. Editor Miranda Cantrell, left, and advertising director Rick Adkins accepted the Lewis E. Owens Award, named for a publisher of the Lexington Herald-Leader who died in 1998. Herald-Leader Editor Peter Baniak said the Courier "exemplifies service to community under the most trying of circumstances. Even more than that, I don’t think it’s overstating things to say that, in a time when our industry continues to face challenges on many fronts, this year’s recipient stands as an inspirational example of the power of newspapers. The power to help a community up from the rubble. The power to provide vital information to people whose lives literally depended on it. The power to remind those of us in this room why we got into this business in the first place." Baniak recounted how Kinner's house fell down around him when the tornado hit. "After he was rescued from his basement, he stayed in a shelter. While there, he asked for a notebook and began interviewing fellow tornado survivors. . . . Cantrell started up a Facebook page to keep the people of West Liberty informed and connected, posting funeral information, notices about public meetings, information about what was open and where essential services had temporarily set up shop." 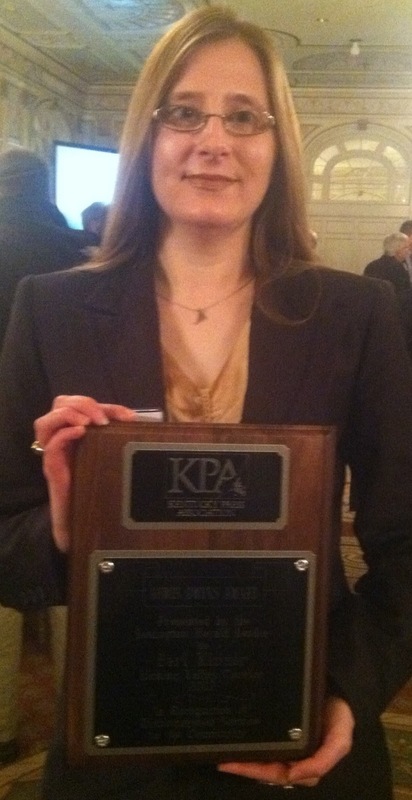 KPA's general excellence awards went to the Todd County Standard, Elkton, small weekly (seven years in a row); The Springfield Sun, mid-size weekly; the Jessamine Journal, Nicholasville, large weekly; The Kentucky Standard, Bardstown, multi-weekly; Madisonville Messenger, small daily; The Advocate-Messenger, Danville, mid-size daily; and Lexington Herald-Leader, large daily. (The Courier-Journal of Louisville, by far the state's largest paper, is among those that do not enter the contest.) For the list of awards, click here. The film industry announced last year that it would no longer make film copies of its movies, and would only provide digital versions, forcing theaters across the U.S. to retire their 35mm projectors and go digital. That switch is not cheap, since digital projectors cost tens of thousands of dollars, and some small theaters would have to pay hundreds of thousands of dollars to make the conversion. 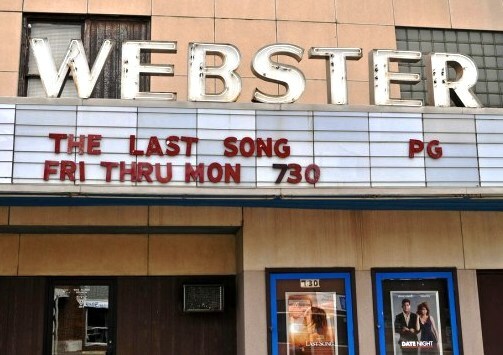 Most big theaters have already made the switch, but experts estimate that 20 percent of all theaters in the U.S., most of them small, independently owned and in rural areas, will be forced to close because operators can't afford the changes, Emily Pace of WSPA-TV in North Carolina reports. Some communities, especially those with not-for-profit theaters, are raising money to help them switch. 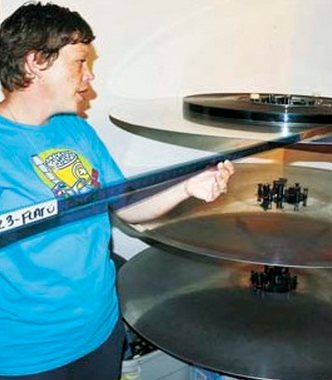 One of those is Capital Cinemas in Princeton, Ky., owned by Heidi Boyd, above. (Photo from The Times Leader, Princeton) UPDATE, 2/22/14: The drive was successful, and the theater has reopened as digital. Wal-Mart is making a push into the local-food market, claiming that 11 percent of its produce in stores nationwide comes from local farms. That's a 4 percent increase from two years ago, when the company first announced it was stepping-up local food sourcing efforts. There was hope that this shake-up in the food-supply chain would help small family farms, but Abbie Swanson of mid-Missouri's public radio station KBIA-FM reports that such farmers in her region aren't necessarily reaping benefits from the change. Few Missouri farmers have actually worked with Wal-Mart, Swanson reports. Small-scale organic farmer Jim Thomas told Swanson it's hard for small producers to successfully work with the company because it tries to force small producers to sell their products so cheaply they aren't able to make a profit. Wal-Mart claims its push to sell local food lives up to its "Save Money. Live Better" slogan by helping customers save money on local produce while helping farmers live better. During testimony to Congress last March, Wal-Mart's sustainable-agriculture director said the local-foods push has saved customers $1 billion. Less than 2 percent of the U.S. population is involved in agriculture, but American farmers feed millions of people all over the world, making "one of the most striking issues facing modern agriculture the disconnect between" farmers and consumers, Mark Vierthaler of The Wichita Eagle reports. "A troubling trend has begun to infiltrate the world of agriculture: ignorance of the processes that are used to produce safe, reliable food while being a good steward of the environment." The Americans who aren't involved in agriculture are hungry for information about where their food comes from, Vierthaler writes, but there aren't many ways for them to bridge the gap between themselves and farming. A new website hopes to be that bridge. 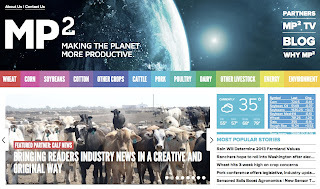 "Making the Planet More Productive," or MP2, was launched earlier this month and serves several purposes. 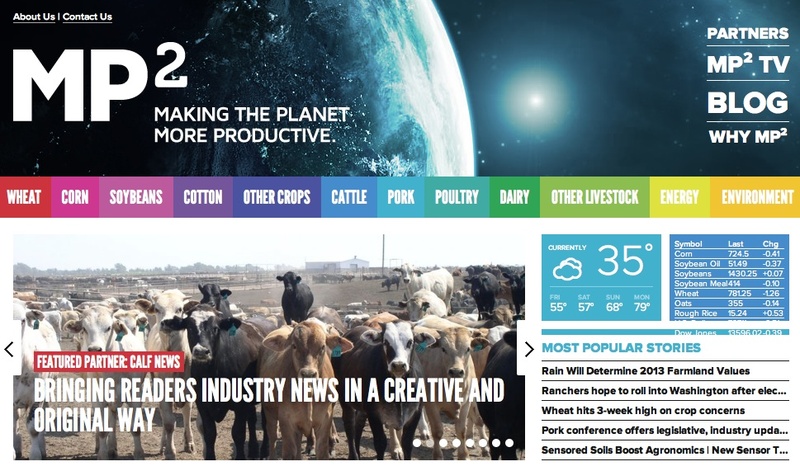 It's an agricultural news hub with up-to-date news feeds from more than a dozen agricultural news organizations. It's also an educational tool with links to pages about different areas of agriculture. 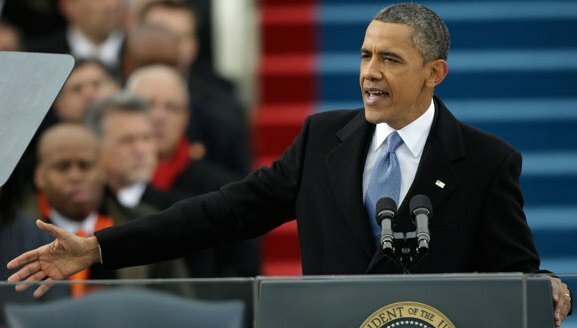 Congressional Democrats, inspired by President Obama's inaugural address statements about renewed pressure to abate climate change, have formed the Task Force on Climate Change, which will be active in both the Republican-controlled House and Democratic-majority Senate, Environment News Service reports. 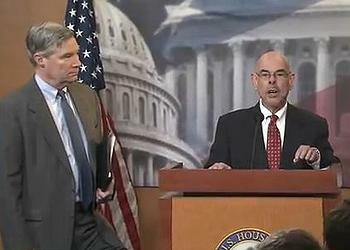 The task force aims to renew congressional and public attention on developing climate-change policy. Dairy Farmers of America is paying a $158 million settlement after a decade-long, class-action lawsuit by Southeastern dairy farmers who alleged the co-operative was involved in price-fixing. DFA President Rick Smith said during a conference call this week that the settlement "will not affect our day-to-day operations or our ability to market members' milk," Agri-Pulse reports. The lawsuit was brought by 7,000 dairy farmers in 14 states, who argued that DFA and Dean Foods colluded to force dairy farmers into marketing contracts with DFA, closing off alternative channels, and then provided milk to Dean at bargain prices. Dean reached a settlement with the plaintiffs several months ago. The latest settlement calls for DFA to pay $140 million to the plaintiffs. An additional $9.3 million a year for two years will be put into a fund to guarantee stronger Class I milk utilization rates in the two milk marketing orders. Smith said DFA received some indication that the suit might be dismissed, but when it was clear that wasn't going to happen, the risk of going to trial was too high, and that prompted the decision to settle. The settlements bring the combined award total to more than $300 million. Agri-Pulse is only available by subscription, but a free-trial can be accessed here. National Public Radio, using information from Planet Money, has created a nice graphic displaying the rate of work-related, on-the-job deaths in 2011 for U.S. workers using Bureau of Labor Statistics data. At least two jobs that take place in rural areas made the four deadliest: logging, second, and farming or ranching, fourth. Fishing ranks first, flying is third, and policing is fifth, at more than five times the national average. A commenter on the NPR page asked about military service, which disproportionately draws rural people, and another commented replied with the military death rate, which would have ranked second if included among the civilian jobs. 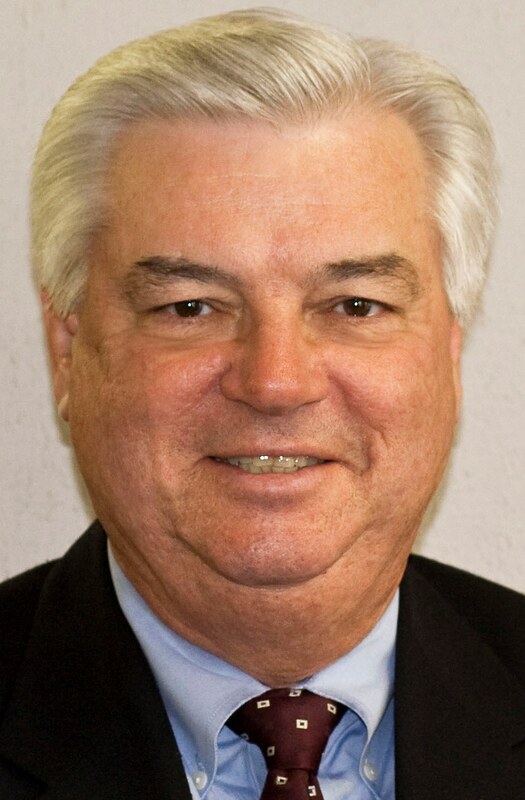 A Rapid City, S.D., city council member who made racist remarks to an African-American broadcaster publicly apologized to the reporter this week during a council meeting, Aaron Orlowski of the Rapid City Journal reports. Bill Clayton, right, had questioned KOTA-TV reporter Taisha Walker's citizenship and suggested she be deported to Kenya after she asked him in a telephone interview about an August 2012 vote on property taxes. He said during the apology that he didn't know Walker was African-American when he made the comments. The council voted unanimously to release an investigative report by the city attorney into two separate incidents involving Clayton. The vote allowed release of an unredacted version of the report without any prior discussion. The investigation was started after two complaints were made against Clayton: one by Walker, and another by Doyle, who alleged Clayton directed comments at her during a lunch for a local political group, the Wingnuts. Clayton denied the latter. Lawmakers in several states are trying to boost investor confidence in renewable energy amid doubt about the future of its tax credits, which were temporarily extended as part of the "fiscal cliff" negotiations, Jim Malewitz of Stateline reports. In some states, advocates will face increased push-back on policies that have helped spur renewable energy development, either because of budget concerns or ideological reasons, Malewitz writes. Big proposals are being considered in four states: Hawaii, Minnesota, New York and North Carolina. In Hawaii, lawmakers will consider whether to revise a renewable energy tax credit that's helped the state's solar boom, but has also "opened a major hole in the state budget," Malewitz reports. Environmentalists are hopeful that the newly Democratic-run legislature in Minnesota will pass a law requiring utilities to generate at least 10 percent of their electricity from renewables, a higher figure than in most states with such laws. New York will consider legislation to would require at least 30 percent of its energy renewable by 2015. Gov. Heineman sent a two-and-a-half page letter to President Obama and Secretary of State Hillary Clinton explaining that Nebraska's review of the new route found that it meets state standards, Joe Duggan of The Omaha World-Herald reports. The letter comes 19 days after the Nebraska Department of Environmental Quality completed a 2,000-page report saying the pipeline would provide economic benefits and create minimal harm to the environment. 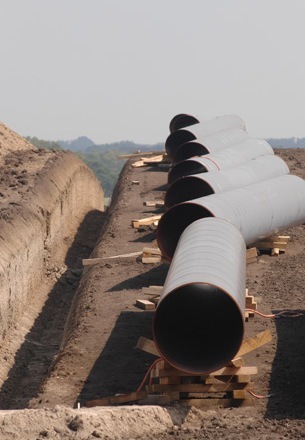 The governor's decision means that TransCanada can start negotiating with Nebraska landowners for property easements, and if those negotiations fail, the company can take land through eminent domain. The new route avoids the Sand Hills but still crosses the aquifer. The fate of the $7 billion pipeline still rests with Obama. Heineman's decision was announced just one day after the president "cited the obligation to posterity and the threat of climate change as an issue that can't be ignored" during his second inaugural address, Chris Clayton of DTN Progressive Farmer reports. Environmentalists say Obama can't declare a commitment to fighting climate change while approving the pipeline, regardless of the route, because of the climate-change impact of tar-sands mining. "Politically, I don't see how he does it because the green groups would see that as a clear sign of betrayal," Bold Nebraska director Jane Kleeb told Clayton. Bold Nebraska has led efforts in the state to stop the pipeline. Several studies have concluded that the pipeline would provide much economic benefit with little environmental impact, including one by Creighton University economist Ernie Goss, who said the project would provide $1.8 billion to Nebraska over 17 years. However, several climate scientists claim tar sands are a direct and immediate threat and will increase climate change, David Biello notes in Scientific American magazine. James Hansen of NASA and 17 other climate scientists sent Obama a letter last week opposing the pipeline. There are roughly 170 billion barrels of oil to be recovered from Canada's tar sands, which Canada calls oil sands, Biello reports. All those tons represent a lot of possible carbon dioxide if burned, Minnesota's University of Saint Thomas mechanical engineer John Abraham said: The sands industry emits more greenhouse gases than New Zealand and Kenya combined, and if all those sands could be burned, another 240 billion metric tons of carbon would be released into the atmosphere, and if just the oil sands that are recoverable with today's technology get burned, 22 billion metric tons would be released, Biello writes. The U.S. Postal Service still makes most of its revenue from traditional post offices, despite claims that few people actually use physical brick-and-mortar post offices anymore, according to data the agency gave the Postal Regulatory Commission yesterday. The USPS has used the claim that traditional post offices are under-utilized as its main reason for closing, or reducing hours at, hundreds of post offices, most of them rural. A small, rural school district in Colorado may have one answer for rural districts across the country that want to make their lunches more local. The South Routt School District has fewer than 450 students in its three schools, but it serves local, grass-fed beef during lunch, Ann Schimke of Ed News Colorado reports. It's all the result of parent Jane Colby's effort. She won a $1,500 grant to pay for more expensive beef, and the district serves beef from cattle raised about 25 miles away. Senate Majority Leader Harry Reid has included a new Farm Bill in a list of "high priority bills" that he introduced in the Senate yesterday, Brownfield Ag News reports. The bill passed the Senate in June with overwhelming support, but stalled in the House over food-stamp issues, and died during fiscal-cliff negotiations. Sen. Charles Grassley, R-Iowa, said he was confident work on the bill won't start from scratch, Brownfield's Tom Steever reports. Grassley said the change in the Senate Agriculture Committee's Republican leadership from Northern to Southern influence might bring changes or debate about the bill that hadn't happened before, but he thought the bill could pass out of committee without much push-back. Farm policy experts are concerned, however, that the longer it takes to pass a bill, the more likely federal crop insurance will become a target for cuts, Ken Anderson of Brownfield reports. An effort to legalize industrial hemp in Kentucky may have its best chance yet of passing the General Assembly this session, Gregory Hall of The Courier-Journal in Louisville reports in a big Page One story. Opposition from the Kentucky State Police has previously killed efforts at legalization. The KSP still claims that growth of the crop would make it harder to catch producers of hemp's illegal variety, marijuana. But this session, the bill has support from top politicians who find the claims that hemp production will create thousands of jobs hard to ignore. Legalizing hemp would require cooperation of federal authorities, but the idea has gained traction in large part because of the crop's old history in the state and an alliance between state Agriculture Commissioner James Comer, U.S. Sen. Rand Paul, the Kentucky Chamber of Commerce and Senate Agriculture Committee Chair Paul Hornback, R-Shelbyville, right. Comer supporters have worried that his fellow Republicans who run the Senate and have other candidates in mind for the 2015 governor's race would bottle up the bill, but Hornback told Al Cross, director of the Institute for Rural Journalism and Community Issues, that the leaders told him the committee he chairs would get the bill when the legislature reconvenes Feb. 5. Gov. 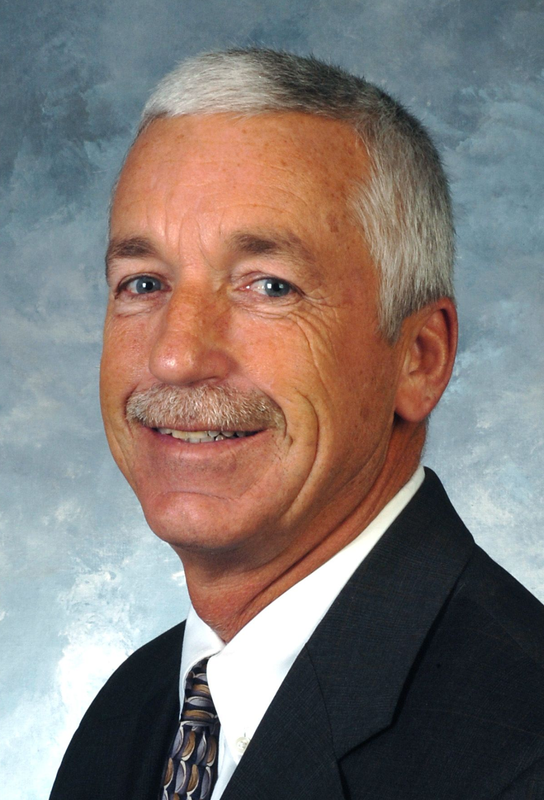 Steve Beshear has also expressed a willingness to work with law enforcement on the issue. One sad fact about community journalism in the United States is that many, if not most, of the weekly and small daily newspapers don't publish editorials, or even have editorial pages. And another sad fact is that the first fact isn't often written about. Tom Larimer, right, the executive director of the Arkansas Press Association, broke the silence recently with a column that got our attention and admiration. The lack of edit pages is also about losing friends, in a segment of the business where personal comfort often conflicts with professional responsibility. Larimer knows that, and states the reasons for lack of leadership more broadly: "In an effort to avoid such occasional conflict with readers, a lot of newspapers have simply discontinued their editorial pages. . . . Many no longer endorse political candidates, feeling perhaps like this is just going out of the way to alienate some readers. There’s no arguing that this is the safe way not to offend anyone, and certainly not to create the sort of stir as they experienced at the Monitor-News. But is this truly what readers expect of us?" Noting a controversial column that ran in one of the papers he edited, Larimer recalled, "Everyone in the community who read the newspaper was aware of this column, discussed it often, ranted, sometimes called the local editor to complain, and then read it again the next week. The important thing here was that they were reading, and they were thinking about the subject matter. This was an important lesson for a young editor of a country weekly newspaper. Not everyone is always going to agree with everything you may opine in the columns of your newspaper. But they will read it and they will discuss it, and they lose no respect for you for having expressed your thoughts on the matter." Larimer concluded, "When we hear comments about nobody reading the newspaper anymore, consider that perhaps that’s because there’s nothing, or certainly nothing of substance, to read." For the full, 1,000-word column, in a PDF of the Dec. 27 Arkansas Publisher Weekly, click here. 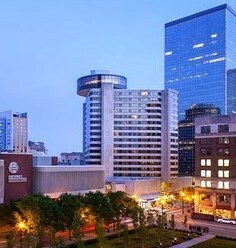 Louisville's Hyatt Regency Hotel, right, will be one of the best places in America to improve your journalism skills this year, all in the space of a few days: Wednesday, Feb. 27 through Sunday, March 3. The first day, from 2 to 5 p.m., the Donald W. Reynolds National Center for Business Journalism will offer a free workshop, "Breaking Local Stories with Economic Data." Center Director Linda Linda Austin writes, "Government data offer unparalleled opportunities to distinguish your reporting with trend stories about what’s happening in your local economy. Especially this year, with the release of the every-five-year Economic Census, journalists will have a unique opportunity to track changes in their local community from 2007 — before the recession — to 2012." Instructors Paul Overberg of USA Today and Jeannine Aversa of the U.S. Bureau of Economic Analysis, a former writer for The Associated Press, will show how to do least 15 local enterprise stories from government economic data. Examples will be specific to the Louisville region, but applicable anywhere. For a PDF of the program flyer, click here. To just sign up for the workshop, go here. The next four days is the annual conference presented by Investigative Reporters and Editors and the National Institute for Computer-Assisted Reporting. It has something for everyone, from beginners (basics on spreadsheets, databases and online mapping) to experts (data science and the latest technological advances). The list of sessions is still growing, as is the attendance; the room block at the Hyatt is full of near-full, but other hotels are available; see here. For more information, go here. A unit of NBC is seeking a small-town newspaper about which to do a reality show. A casting call was made last week through the National Newspaper Association, the principal organization for community newspapers in the U.S.
NBC Peacock Productions asks, "What’s your small-town paper like? Do you work hard? Make each other laugh? Is your team a real version of 'The Office' meets 'Parks and Recreation?' We’re . . . looking to produce a documentary style reality show featuring a small-town local paper working hard to stay on top of breaking small-town news and keep financially afloat in an ever-increasing competitive world. Interested in participating or hearing more? Please contact us at smalltownnewspapershow@gmail.com or call 212-664-2307." JimRomenesko.com reports that more than 70 editors and publishers have replied, and NNA's Stan Schwartz says producer Cara Biega "was impressed with how amazing their stories are." Biega hasn't returned our call. Some clarification is in order; for example, when folks in New York say "small town," that usually has quite a different meaning than in most of America's truly small towns. Just 15 percent of rural and exurban counties had median family incomes that were at or above the national median of $50,502 in 2011, according to Census Bureau data analyzed by the Daily Yonder. Exurban counties are inside a metropolitan area but mostly rural in nature. "Remember, 'median' means the middle," Bill Bishop reports. "Half the households in the U.S. had income greater than $50,502 in 2011, and half made less." The Yonder map above shows the median household income in each rural and exurban county. (Click on the map for a larger version.) Dark blue counties were the richest in terms of household income. Counties in any shade of blue have incomes higher than the median household income of $41,974. Half of all rural and exurban counties had median family incomes above $41,974, and half had incomes below that amount. Red counties on the map were below the $41,974 mark. The exodus of underground coal miners who started working 40 years ago is putting more stress on an already strained coal industry, Erich Schwartzel of the Pittsburgh Post-Gazette reports. "Hiring trends that date back to the Nixon administration have resulted in a disproportionate number of older workers in mines across Pennsylvania and the rest of the nation," the paper reports. Older miners are leaving in droves, and experts say this is hitting the industry when it's in a state of flux because of decreased demand. The large number of older miners has also "strained weak pension plans at major companies, appearing on balance sheets and in bankruptcy filings as a hazardous expense," the Post-Gazette reports. As much as 75 percent of the coal-mining workforce has retired in Pennsylvania, leaving companies to fill big gaps. "The retirement of older workers is especially acute in Appalachia," the paper reports, with three of the region's states in the top five coal-producers. The average coal miner has already been working more than 20 years and is 45 or older. For decades, the answer to this revenue riddle in Iowa, and other rural areas across the country, was school consolidation. There have been 117 school district reorganizations in Iowa since 1965, and they aren't always popular. "Parents worry about students being forced into larger classes or exponentially increasing their travel times," Wiser writes. "Students may have a hard time adjusting to a new school in a different town, and people in the towns that lose their schools also lose some of their identity." In an inaugural speech that resembled a State of the Union address, President Obama devoted a full paragraph to climate change, an issue from which he largely steered clear in his re-election bid. "We will respond to the threat of climate change, knowing that the failure to do so would betray our children and future generations," Obama said. "Some may still deny the overwhelming judgment of science, but none can avoid the devastating impact of raging fires, and crippling drought, and more powerful storms. The path towards sustainable energy sources will be long and sometimes difficult. But America cannot resist this transition; we must lead it. We cannot cede to other nations the technology that will power new jobs and new industries – we must claim its promise. That is how we will maintain our economic vitality and our national treasure – our forests and waterways; our croplands and snowcapped peaks. That is how we will preserve our planet, commanded to our care by God. That’s what will lend meaning to the creed our fathers once declared." John Harris and Jonathan Martin of Politico call the address "the most ideologically ambitious speech since Ronald Reagan’s first inaugural address" in 1981. "If Obama wanted to create a mandate for new government action on climate change, he could have talked about it prominently in the campaign, including in manufacturing states like Ohio. But he neglected to do that," they write, adding that on climate change and gun control, "A key brake on Obama’s goals will be lawmakers in his own party concerned about their own prospects in moderate districts. A related question is whether — even if changing demographics and changing times have dislodged the center-right consensus that has framed politics for the past 40 years — a federal government with record deficits and a still weak economy can support Obama’s ambitions." UPDATE, Jan. 23: Harris writes about what Obama omitted, and the risks of such a speech. There wasn't much else in Obama's 2,100-word speech that had rural resonance, our general standard for inclusion on The Rural Blog, except his call for immigration reform, which agricultural interests generally favor. The president concluded his paragraph about immigration, gay rights, voting access and children by saying, "Our journey is not complete until all our children, from the streets of Detroit to the hills of Appalachia to the quiet lanes of Newtown, know that they are cared for, and cherished, and always safe from harm." (He pronounced the region "Appa-LAY-cha." In Appalachia, Va., they say "Appa-LATCH-a," and so does this YouTube video.) For the full text of the speech, via Politico, go here. The White House web page for speeches is here. Noting that Dr. Martin Luther King Jr.'s life ended when he was trying to mount a "Poor People's Campaign," Renee Shaw of Kentucky Educational Television decries the lack of attention paid to poverty, especially in the nation's fifth poorest state: "Many people tell me how perplexed they are by the muted conversation about poverty by today’s national leaders and policymakers. Mention of poverty during the last election cycle was non-existent, other than ill-conceived characterizations of those below the line. No anti-poverty agendas were brought forth or even intimations made that they’re forthcoming. Poverty is treated as an intractable problem that we feel sorry exists, and we quickly concede to political impotence." Shaw and KET's Bill Goodman are co-producers of an hour-long special that debuts on the network tonight: "The Price of Poverty in Kentucky," with special attention to the eastern counties that are persistently poor. "Poverty is a multi-dimensional problem. But, it is not without solutions," Shaw writes on her Prompter blog. "Community leaders, anti-poverty advocates, educators, and economists share their insights and lend recommendations on how — in the words of Dr. Martin L. King — “to make the invisible visible." And those insights should apply to states other than Kentucky. To watch the program online, click here. Fremont, Ohio, pop. 16,734, is the object example chosen by Eli Saslow and The Washington Post to illustrate "the America that [President] Obama will govern in his second term: A place divided not only by ideology, race and class but also by the very perception of reality. Four years since Obama first took office, is the country better or worse off? Safer or more at risk? Principled or desperately lost? Here in Fremont, as in much of America, it all depends on whom you ask. In this rural, Rust Belt county where Obama won exactly 50 percent of the vote, located in a state where he won 50 percent, residents expect Obama to either ruin the country or rescue it. The president who spoke ambitiously at his first inauguration about uniting America instead arrives at his second with the country further divided." The Post's chief political writer, Dan Balz, has a good overview of the national political situation here. UPDATE, Jan. 25: ProPublica provides a broad guide to good journalism and books about the partisan divisions and dysfunctionality of Congress.